The EU countries agreed in December 2016 on stricter emission targets for selected pollutants, including ammonia. As 94% of the ammonia emissions come from agriculture, the industry, and livestock farming, in particular, will be seeing new measures in the coming years. 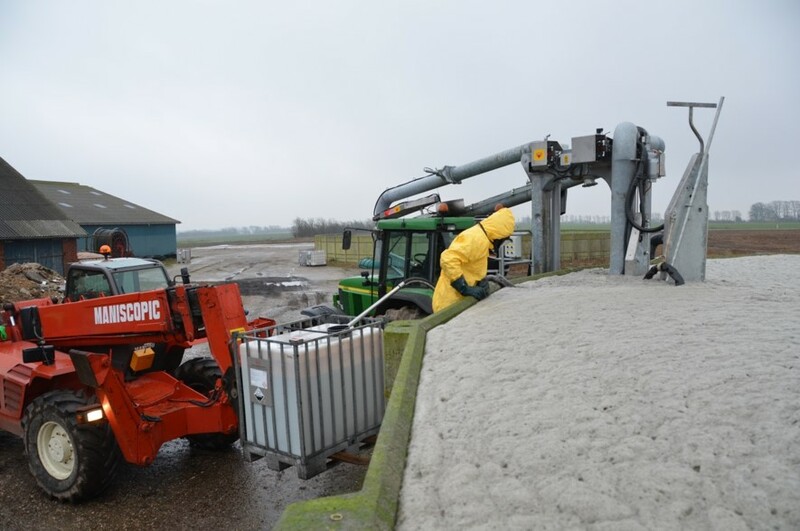 Following this, slurry acidification was approved as BAT, as one potential ammonia mitigation measure for pig farms by European Commission in February this year. In-storage slurry acidification. Photo: Torkild Birkmose, SEGES. The EU countries agreed in December 2016 on stricter emission targets for selected pollutants, ammonia being one of the five (http://ec.europa.eu/environment/air/pollutants/ceilings.htm). The National Emission Ceilings (NEC) Directive (EU 2016/2284) entered into force on 31 December 2016 and must be transposed and implemented in national legislation by 1 July 2018. The directive is based on the recently amended UNECE Gothenburg protocol, but sets further reduction targets by 2030 compared to the reference year 2005. On the EU level on average, the directive requires 19% reductions in ammonia emissions by 2030, with countries like Germany, Denmark and Finland, leading the way with targets above the EU average. In agriculture, improving manure management and crop nutrient uptake, play an important role. They are also key ways to reduce nutrient leaching to waters. As part of the national clean air programmes, the directive demands countries to draw up national guidelines on good agricultural practices in reducing ammonia emissions. Some of the required measures may foreseeably require considerable investments by farm companies or cooperatives. To facilitate the necessary upgrades in sustainable farm management, the directive aligns relevant EU funds for this aim, such as Horizon, Structural Funds, CAP, EAFRD and LIFE. With respect to intensive pig rearing (and also cattle farming, which, however, is not covered by the EU regulation for industrial agriculture), slurry acidification is a measure which aligns with balanced fertilization, manure and nutrient recycling, better yields and less harm on the environment. In February, the Commission approved slurry acidification with sulphuric acid as Best Available Technique (BAT) in the Reference document for BAT in intensive rearing of pig and poultry. This means that, in principle, the 2,788 pig and sow farms in the BSR countries now have this additional set of techniques – in-house, in-storage and in-field acidification – at hand to be considered as means to reduce ammonia emissions and utilize the organic nitrogen more efficiently for plant growth. Adoption of slurry acidification technologies (SAT) as BAT measure with associated reference values for nitrogen excretion recognizes the environmental performance and viability of slurry acidification as a new and complementary pollution control measure in intensive livestock production. Applying ammonia reducing BAT would mean a major positive change in farm performance as currently, even farms which respect good agricultural practices, lose about 50% of nitrogen at the various stages of manure handling, and mainly as ammonia (Foged & Oblomkova, 2017: Status for air quality in the Baltic Sea Region with respect to ammonia).Wider application in practice and assessment of the overall sustainability benefits for the industry will eventually prove the value of these technologies for farm environmental management. Associated nutrient management and fertilization regulations play a key role in setting the incentive from the farm standpoint to shift the balance in favor of organic fertilizers and to invest in technological measures.